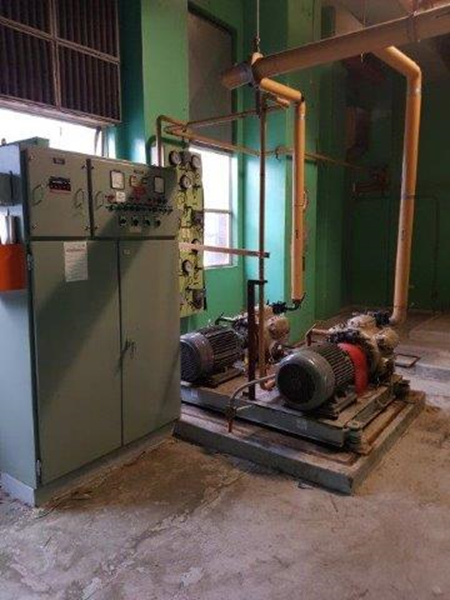 Ryan Wilks has completed a major air conditioning upgrade at the Rockdale Telephone Exchange taking what was a very old, sad and run down DX plant and completing a transformation that would be the envy of any Block reveal. 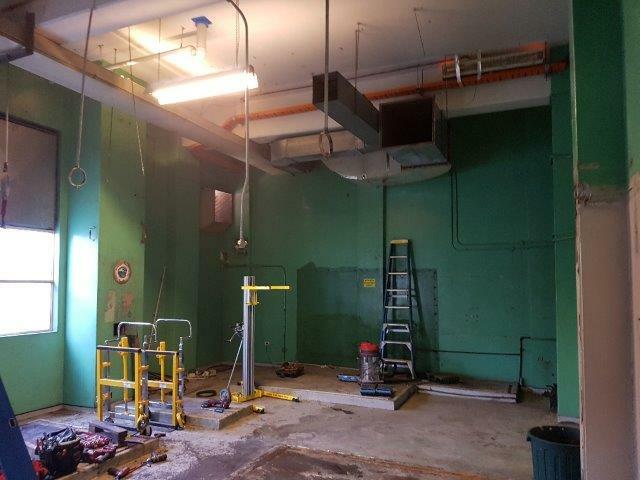 Following successful removal of the asbestos and the issuing of a clearance certificate, the supplementary air conditioning was installed and we were able to commence the demolition the existing plant and commence the new installation. 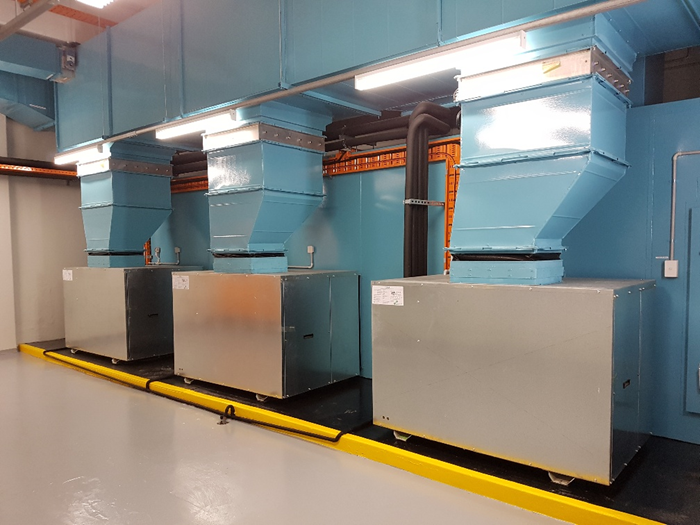 The works involved the installation of three (3) new Temperzone 65KW split units, the replacement off all plantroom ductwork, modification to existing equipment room ductwork and the installation of new mechanical switchboard and new DDC system. 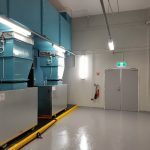 The new air conditioning installation comprises a common walk in return air, outside air mixing plenum which connects to all three air conditioning units. The plenum is 2400 high which allows easy access to maintain and replace the filters. 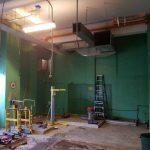 The return air and outside air dampers are all mounted on the inside of the plenum thus allowing easy access for maintenance, and no exposed cabling to provide a neater overall installation. 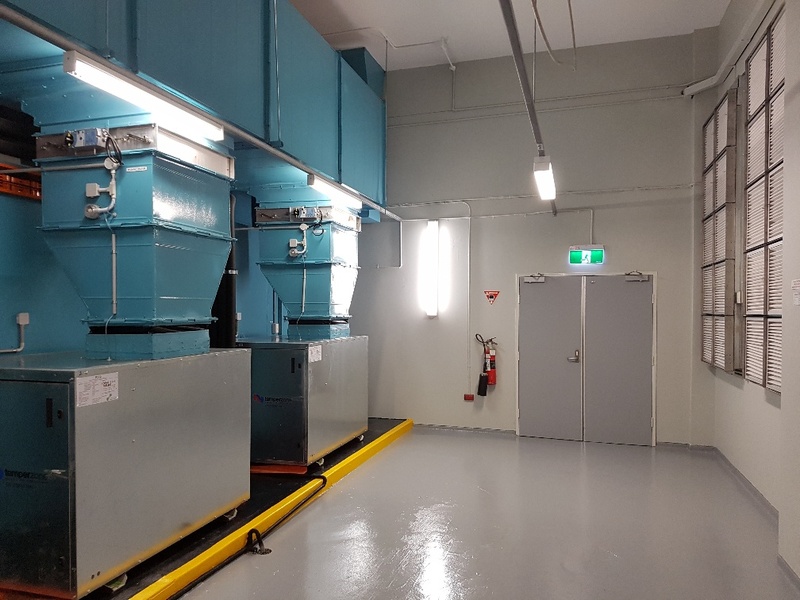 Another unique feature is that all the filters on the project , the unit filters, the relief air and outside air filters are all the same size which will make re-stocking and ordering simpler. Whilst the unit filters are 100 mm deep and the others 50 mm, in an emergency the 50 mm filters will fit in the 100 mm frames, and vice a versa. 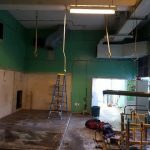 The works also involved some major building works which included the cutting of a four new penetrations through the common plantroom and equipment room brick wall, removal of old plinths and installation of new plinths and floor topping. 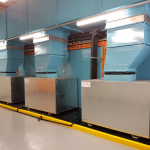 Timber dust screens were erected within the equipment room and the new penetrations where then cut, and cleaned out from the plantroom side negating any dust within the equipment room. 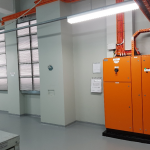 Existing windows within the equipment area and plantroom were removed and replaced with full height louvres, dampers and filters to provide for new economy cycle for the site. The initial concept for the project had a PC Sum allowance for a new roof platform for the new condensers. 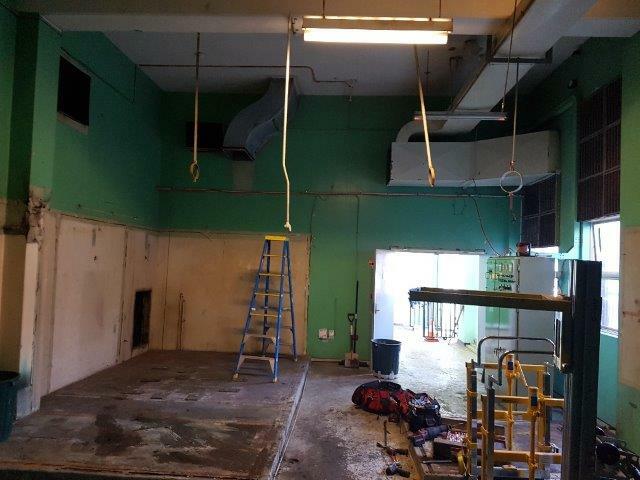 With a little investigation work and planning we were able to fit all three new units onto the existing roof area, amongst the existing condensers and negated the need for the new roof platform. 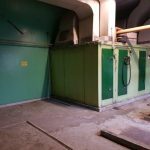 During the design development phase it was identified that the existing MSSB sub-mains and main breaker were too small for the new installation. 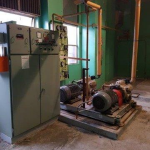 This resulted in an early morning maintenance window shut down of the main distribution board and the replacement of the MSSB supply breaker and termination of new submains. 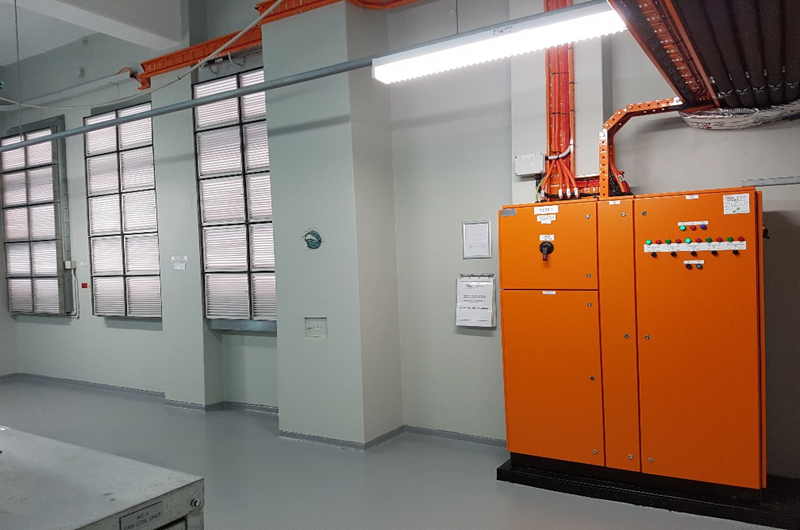 As the existing power was being utilised to provide power to the temporary air conditioning unit this cut over was scheduled to occur when the system install was complete and ready for commissioning. The new board was energised at 6:00 and commissioning commenced at 7:00 am. A well planned cut over and start up. 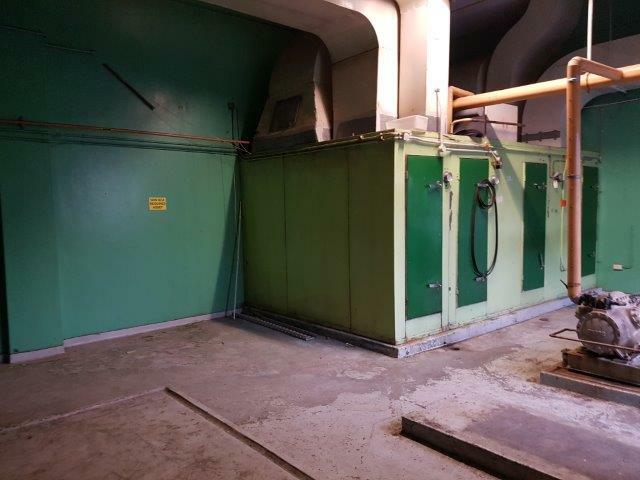 The finish plantroom was repainted from head to toe along with many of the internal walls. The installation of the new lighting in the plantroom certainly showcases the installation. A great team effort by all and thanks to our staff and suppliers for what is a high quality installation.